Patrick Daugherty is an experienced litigator who has helped clients navigate both simple and complex litigation cases involving a variety of industries across the country. He focuses on all phases of civil and administrative litigation and has counseled companies facing inquiries from a variety of government agencies, including the Consumer Financial Protection Bureau (CFPB) and the Federal Energy Regulatory Commission’s (FERC) Office of Enforcement. Patrick has also prepared client witnesses, ranging from front-line employees to CEOs, to give depositions and testimony. Patrick is also well versed in new litigation technology, having managed e-discovery in complex cases and streamlined document review by utilizing predictive coding. Most recently, Patrick has worked with Native American Tribes and with tribal regulators pursuing economic development opportunities on tribal land, including representing a major Native American trade association in filing amicus briefs advocating on behalf of tribal economic development. 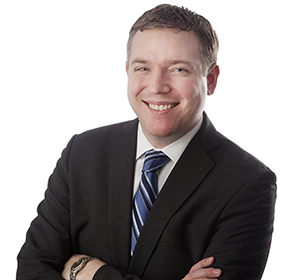 Patrick also has experience assisting clients with conducting internal investigations and audits, including supporting established power marketers and natural gas traders with internal audits to ensure compliance with FERC rules and regulations, including the prohibition on market manipulation. Patrick also helps smaller companies in drafting and implementing their first FERC compliance programs. Patrick previously served as a prosecutor in the White Collar Fraud unit of the St. Louis Circuit Attorney’s Office, where he successfully tried more than a dozen jury trials. He also prepared successful appellate briefs defending convictions and other trial court decisions. Patrick’s pro bono clients have included a non-profit focused on providing educational opportunities in American Indian communities, foster parents in contested adoption proceedings, and veterans seeking reasonable accommodations for their service animals. At the Washington University in St. Louis School of Law, Patrick was a Webster Society Scholar and an associate editor on the Journal of Law and Policy. Assisting clients in responding to government inquiries from government agencies including the Consumer Financial Protection Bureau (CFPB) and the Federal Energy Regulatory Commission (FERC). Representing a trade association advocating in the federal courts for economic development opportunities in Indian country. Defending a client in the financial services industry in a civil enforcement action brought by a state attorney general. Defending several interstate natural gas pipelines contesting liability for alleged environmental damage in federal court. Assisting a power marketer in conducting an internal audit to ensure compliance with FERC rules and regulations, including the prohibition on market manipulation. Assisting a small firm with the implementation of its first FERC compliance program. Representing municipal and cooperative utilities in contract claims against their power suppliers. Conducting an annual compliance audit of an interstate natural gas pipeline and its affiliated companies. Assisting a client facing suit in tribal court related to tribal business enterprises.